Buy If You Like: Mass Effect; story-driven, cover-based sci-fi shooter RPGs. By far, Mass Effect 3 (hereafter ME3) is the hardest review I have ever tried to write. There are three entirely different prisms through which this game can be judged. The first is as the 5-year culmination of arguably the most important sci-fi videogame story of our time. The second is as a comparison between the individual components of the trilogy, as in how it stacks up compared to the first two titles. The third is as an independent game, divorced from the accumulated emotional detritus and hype of the series. The distinctions are important precisely because no matter how grating certain features or design decisions are in isolation, I have found myself literally incapable of escaping the rose hue of the first prism. This is not to say I did not notice the deficiencies, but rather they seemed to matter less in the final analysis. Your mileage may vary. For example, things feel off from the very start. The Reaper invasion – the nightmare scenario that formed the impetus to action in the first two games – has finally arrived. Earth is under attack. And… I feel nothing. Outside of a Lunar sidequest in Mass Effect 1, this is the first time Earth has ever actually appeared in the series in any real way. My Paragon Commander Shepard has never been fighting for Earth, or even humans specifically, but for the right of all sentient life in the galaxy to exist. Indeed, humanity has almost represented a background bumbling bureaucratic force, a one-dimensional foil to Shepard’s actions throughout the trilogy that lacks the novelty of the alien scenarios. It does not help that throughout the Earth invasion, throughout your leaping from burning building to burning building, throughout the panning of cameras to the monstrous Reaper capital ships landing among the skyscrapers… there is nothing but an eerie, empty silence. Where is the stirring music? I spent the first twenty minutes of Mass Effect 3 wondering if my game had glitched, perhaps setting the music volume slider at 0%. There are plenty of amazing songs in the rest of the game – the absolutely haunting “Leaving Earth” comes to mind, or the stirring “The Fleets Arrive” – so the lack has to be some inexplicable design choice. Certainly, it won’t be the last such inexplicable choice. Once Commander Shepard is back aboard the Normandy though, the game once again feels like Mass Effect. And it really was not until ME3 that I could point out what that even meant. The brilliance of the series, in my mind, is the notion that one ship and one crew can make a difference, in a relatively believable manner – the sort of “right place, right time” effect. At no point did I feel like Shepard was a god amongst men, even as I was performing miracles and uniting species after centuries of war. Flying around the galaxy in a desperate attempt to cobble together a coalition for a final stand against the Reapers… yes, this is Mass Effect. One thing that deserves special attention is the combat system. Simply put, it’s rather brilliant. 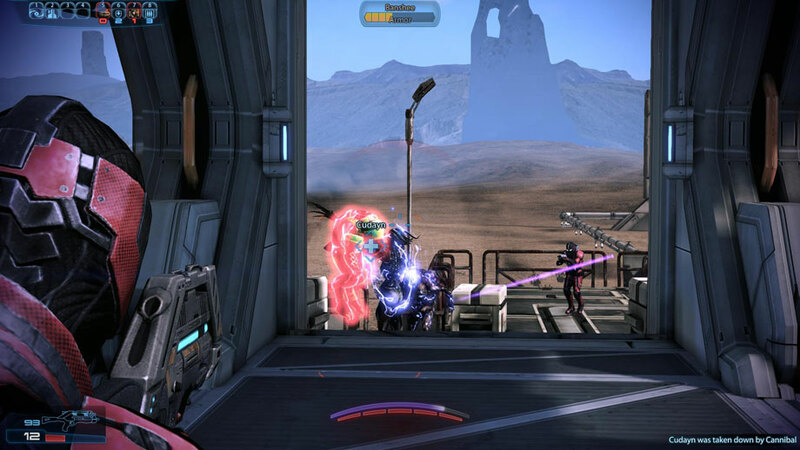 For the most part, combat in ME3 is the same as ME2 aside from some subtle, key differences. The first is the inclusion of Carrying Capacity, which I will admit to having a strong negative reaction to at first. Shepard and crew can carry all five types of weapons if they wish, but the lower the percentage of Carrying Capacity utilized, the greater rate at which Biotic/Tech abilities recharge. In other words, if Shepard takes an assault rifle, shotgun, and sniper rifle into battle, he/she may get a -150% modifier on cooldown times. Alternatively, if Shepard only takes a sniper rifle and pistol, he/she may have a +50% modifier. Given the radically increased power of Biotic/Tech abilities this time around, choosing a loadout actually becomes a choice, especially since some guns are balanced around their weight. On a related note, the gunplay in the missions themselves has never felt more fun and exciting. You will still spend 80% of the game crouching behind chest-high walls, but the obstructions are less obviously arbitrary, and the environment/graphics look amazing. More importantly, the enemies are radically more varied, have a deeply cunning AI that will flank you or flush you out of cover with grenades, and otherwise keep you in the moment and on your toes. Damn, Garrus. Way to shoot me down. Any review of ME3 would be remiss to not mention what has become, if not the most, at least one of the most controversial endings in gaming history. Without getting into spoilers, the thing to understand about why it is as big a deal as it has been in the gaming media comes down to this: catharsis. Simply put, there was not any. And with as much passion as the franchise has generated, I do not find it surprising in the least that so many people have taken the pent-up energy to the forums and blogs (as I myself have done). As of the time of this writing, Bioware has taken the rather extraordinary step (if you think about it) to begin development of a free, epilogue DLC to be released this summer. If said epilogue is able to honor the choices players have made in this franchise, if it is capable of giving me the catharsis I hunger for months after the fact, then Mass Effect could very well unseat the sacred cows of Chrono Trigger, Final Fantasy 7, and perhaps even Xenogears in my Top 3 games of all time. As it stands, there is really no question that you should play Mass Effect 3 if you have at all enjoyed the first two titles in any capacity. Objectively, I think Mass Effect 2 as an independent experience (insofar as that is possible) edges out Mass Effect 3, but… well. To quote Fight Club: “You know how they say you only hurt the ones you love? 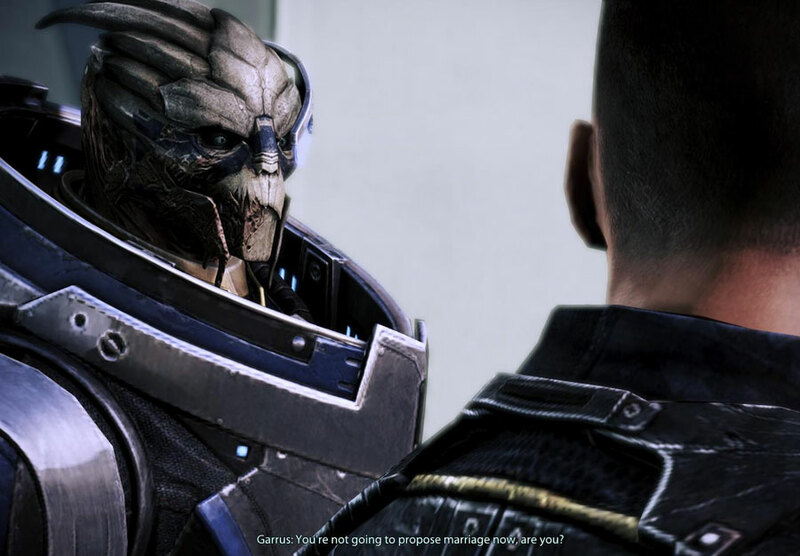 Well, it works both ways.” Without a doubt, Mass Effect 3 has wounded me in ways no other game has ever done, and that in itself is a remarkable triumph. The multiplayer that comes with Mass Effect 3 deserves its own special section, because in many ways it is almost a second, complete game. Indeed, its development started originally as a first-person shooter spinoff before it was enfolded into ME3 proper. You're going to need a LOT of Medigel for that one, buddy. In effect, multiplayer is a stand-alone, four-person co-op survival mode. Although winning multiplayer matches increases the Galactic Readiness Rating in the single-player game (essentially allowing you to skip sidequests and still achieve your goals), there is otherwise zero overlap. You pick one of the six classes, one of the five races, a weapon loadout, a difficulty level, and then head into one of the six maps to face one of the three enemy factions. Each map has 11 waves, three of which will consist of special objectives that will be a King-of-the-Hill, activating four beacons, or assassinating four specific enemies amongst the others. Successfully completed maps will take around ~30 minutes, you will gain XP for the class you chose (with a level cap of 20), and Credits. The replay factor, aside from the entertaining gunplay, comes from the unlocking of packs. Starting out, you have access only to the five most basic weapons and human versions of the six classes. As you earn Credits, you can purchase different levels of packs – Recruit, Veteran, and Spectre – which unlocks new weapons, weapon mods, races, character customization options, and one-use items or buffs to give you an edge. Obviously this can lead to frustration at times, especially if you opt to buy packs via Bioware Points (i.e. microtransactions) instead of Credits, but it does give you an incentive to try and make weapons or classes you would not typically pick, work. The sort of bottom line is this: if you had fun with Mass Effect’s combat system, you will have a ton of fun with the multiplayer. I have already spent more time playing multiplayer than I have playing Mass Effect 3 itself. And at the time of this writing, there is a free multiplayer DLC (Mass Effect 3: Resurgence Pack) coming to introduce two new maps, new race combinations (including Geth and Batarian), and new weapons. Given that packs can be purchased with real money via Bioware Points, it is entirely possible all future multiplayer DLC may be free. From Ashes is the poster-child for everything evil about Day 1 DLC: it is hideously overpriced, lacking in content, and has fundamentally shifted my perspective about the nature of the Mass Effect plot. What you are purchasing is one throwaway stand-alone mission, a Prothean squad-mate (Javik), a new weapon (a particle rifle with regenerating ammo), and a bunch of new dialog between Javik and the other party members (especially with Liara). The problem is that without the DLC, the Protheans were always this unknown, almost magical race who fell to the Reapers in the last cycle and whose artifacts you spend a lot of time collecting. Interacting with Javik, however, reveals the Protheans as a belligerent, almost xenophobic race that would have enslaved or destroyed the races we have come to love in the Mass Effect franchise. In other words, by the end of the game I honestly felt that the Reapers did us a big favor by wiping out the Protheans. 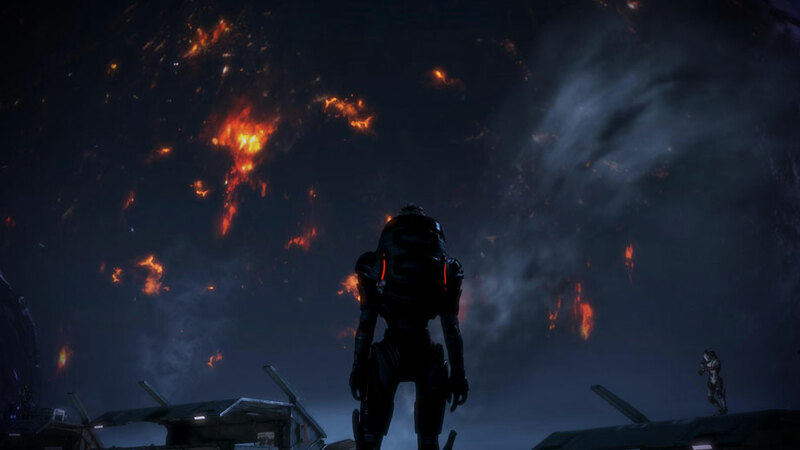 So while From Ashes is not in any way essential to the plot of Mass Effect 3, I personally believe that its absence radically limits the scope of the narrative. In other words, I consider it both required and overpriced. Then again, honestly, you could probably just read the Mass Effect Wiki and watch the Youtube videos for the same effect, saving yourself $10. 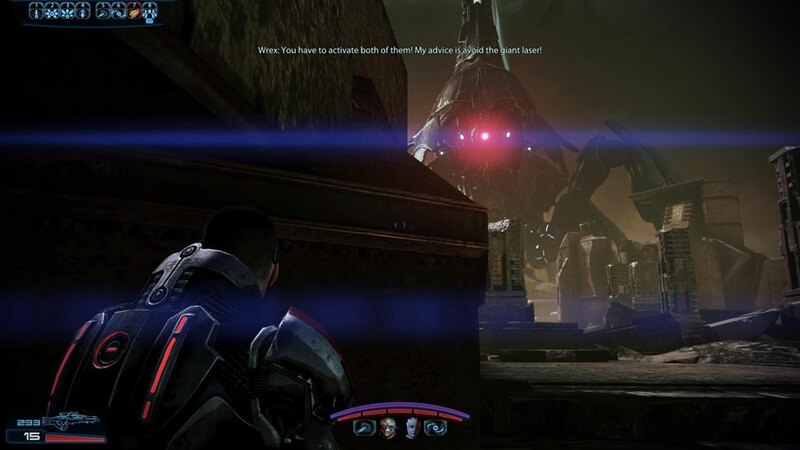 Posted on April 7, 2012, in Review and tagged Bioware, DLC, Mass Effect 3, Multiplayer, Review. Bookmark the permalink. 2 Comments. I think you did a really good job with the review. I would like to add that you left out a couple of major highlights. The dialogue of your squadmates and other NPC’s. Both their banter between themselves and the very special moments you as Shepard have with them. The second thing is how great some of the story arcs are. The whole Krogan genophage story arc is one of the best I can ever recall. The NPC’s and squadmates really grew in character. As for the DLC it really was meant as a cheap bonus for the SE version. They had to offer it to others and there was a big argument about it. But what whould have happened if they never offered it or non-SE games had to wait 30 days? See the problem are those SE versions. As for the Protheans themselves you should view them as the Roman Empire. And like the Roman Empire you either joined them or became slaves. Not to mention all the great technological advances the Romans had. So they had their evils but like everything there were also benefits. I think Javik did a great job in presenting it that way. I said SE, I meant CE for collectors edition.